Novation Xiosynth Online Player, Tripped-Out Synth School Podcast; Which Starter Synth is Best? Novation is hoping you’ll bring their new Xiosynth mini-synth keyboard home, and to help give you an additional push, they’ve got a new online sampler keyboard plus lessons for learning synthesis techniques. I’m hoping they’re being ironic. Let me translate: a couple of tripped-out blokes get drunk on sherry and fiddle around with a homebrew synth before calling up an international DJ/producer who tells them to just use cheezy presets instead. (What, you expected something else from a techno DJ?) Watch the amusing, if less than instructive, videos for yourself. There’s only one problem. This video makes me far less interested in the Xiosynth as that ridiculous home-built box. I want the “most analog synth since World War I” with “one oscillator made out of fish.” It does make me wonder what sort of instructive synthesis how-tos I would make drunk. Novation Xiosynth: It’s ironic that Novation would push the Xiosynth on the basis of its presets, because some commenters have been disappointed by their somewhat generic sound. Program your own sounds, though, and this compact 8-voice polyphonic synth with arpeggiators and step sequencing and nicely laid-out controls looks tempting. It has a new synth engine descended from Novation’s excellent KS synth (as found on the X-Station), built-in arpeggiator, and a nice, portable design. Build quality on Novation has also been consistently superb (readers here have complained about the Korg MicroKorg, in contrast). The downside: no vocoder or external audio-input processing. But this is a great deal price-wise, particularly for Novation: US$329 for 25 keys, $399 for 49 keys, with an unusually powerful step sequencer not equaled elsewhere in this bunch. Alesis Micron: Lee Sherman fell for this compact Alesis synth when he reviewed it for CDM: it’s got all the features you could want, and sounds terrific. I’m a little disappointed by the lack of onboard controls, though, which to me is the main reason to buy hardware instead of software. But on the basis of synth engine alone, the Micron is the one to beat (and the lack of controls was specifically to give this more portability than its larger sibling, the Ion). Check out Lee’s CDM hands-on, plus the Sound on Sound review from 1/05. Korg microX: The most digitally-minded here, the microX is worth mentioning as it fits the low-cost, small-size mold of the others. The microX borrows the Triton’s HI synth engine, and includes the most sophisticated phrase-generating / polyphonic arpeggiator features of the lot here. You won’t get the emphasis on virtual analog programming or vocoders and the like, but that’s not the point; if a pattern-sequencing digital synth is more to your liking, this may be your best bet. It’s also the prettiest of these models, though weirdly Korg ships it with a construction pylon-orange carry case that looks like a cheap toolbox. Roland’s SH-201 has a lot of competition, but it’s the one keyboard here that can be programmed entirely from physical controls: no LED display to be found. So there’s a quick overview of your options. As you can see, it’s not necessarily a question of which is best, but which is best for you. My personal favorite at the moment is the Roland SH-201 just because all of its programming features are exposed. Even for us software lovers, the occasional hardware can be a good change of pace when our eyes get tired of looking at the screen. But the Xiosynth may be the best bargain, in terms of its step sequencer, build quality, and sounds. The XioSynth has the same specs Synth-wise as the X-Station and KS-Rack series. TheyÃƒÂ¢Ã¢â€šÂ¬™re still sticking by the same old system of 3 oscillators with 17 waveforms each (Sine, Saw, Triangle, Square, White Noise, BP Noise, HP Noise, HBP Noise, Organ, Harpsichord, Electric Piano, Slap Bass, Rhodes Piano, Rhodes Tine, Clavinet, Whurly EP, and Analog Bass). It is 8 notes polyphonic and monotimbral, but most of the stuff you hear on NovationÃƒÂ¢Ã¢â€šÂ¬™s patch player are patches made in unison rather than mono or polyphonic in an attempt to make fatter sounds. The only new features they have are the Hybrid Mode (previously mentioned – split between MIDI controller and the onboard synth) and the X-Gator (which acts as a 16 or 32 step sequencer that allows you to control the volume of each arpeggiator step). The only catch-22 is that it does not have the ability to put the signal from Audio In through effects like the X-Station did. If it could, then this thing would probably be the ultimate synth for that price range. If they wanted to they couldÃƒÂ¢Ã¢â€šÂ¬™ve thrown in a vocoder ability like the KS-Rack and they could seriously level the competition with Korg and Alesis in the mini-keys market. 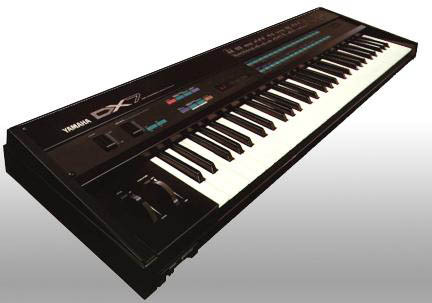 Another option entirely: forget new synths, and buy a classic used synth like Yamaha’s legendary FM synth, the DX-7 (or TX-7, without keyboard). DIY Music Controller Designs, Drawn in Free SketchUp 3D Tool; Sharing DIY Music Models?